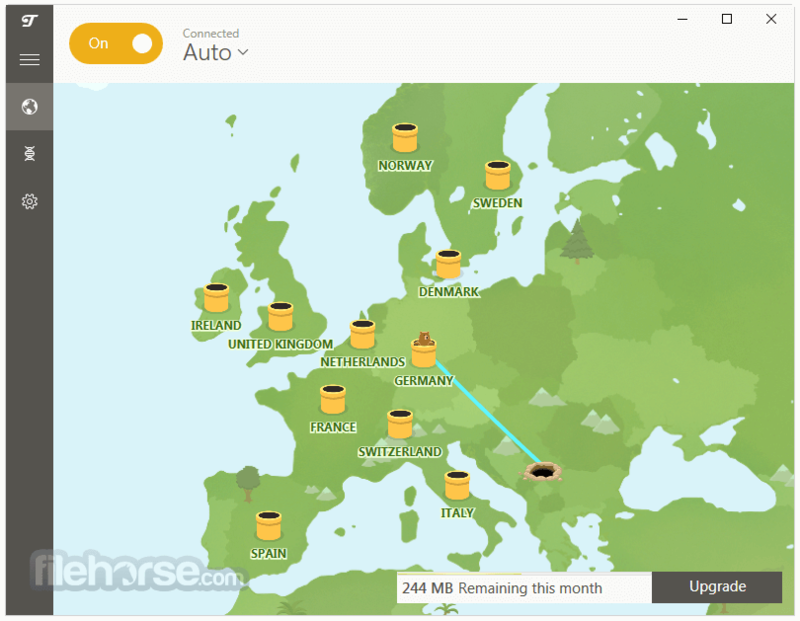 TunnelBear for Windows is the world’s easiest to use consumer top VPN software that securely “tunnels” your internet connection to locations around the world. 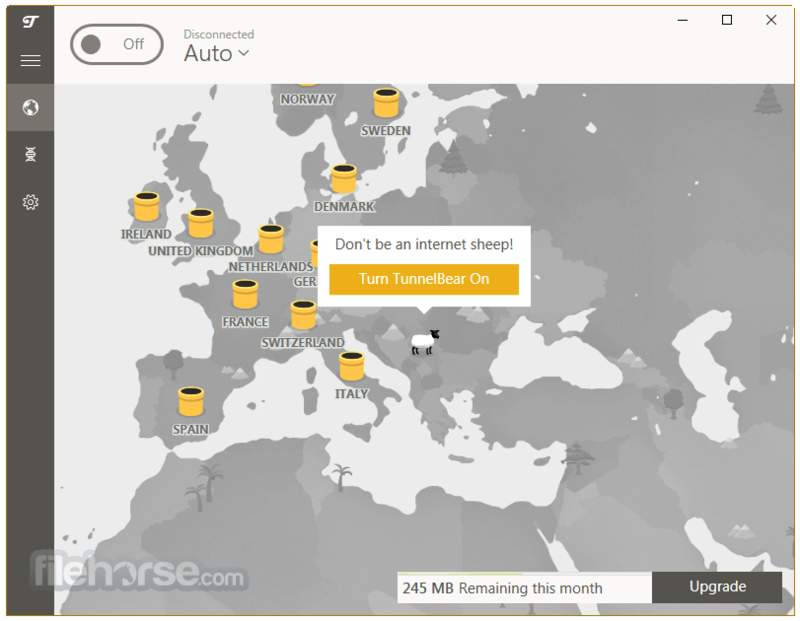 TunnelBear can be used to protect your privacy, to bypass internet censorship and to experience the internet as people in other countries experience it. 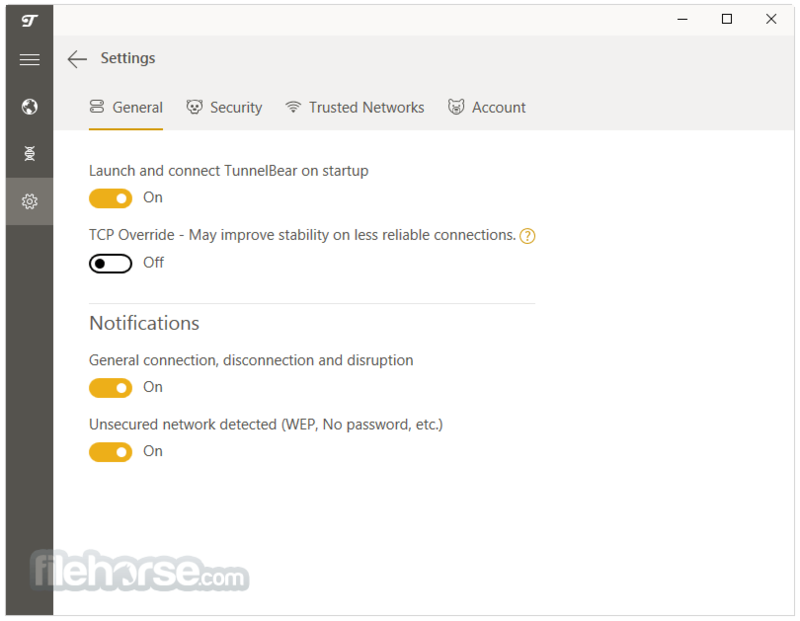 TunnelBear wants to bring the benefits of VPN to everyone with incredibly simple applications for PC, Mac, iOS and Android devices. 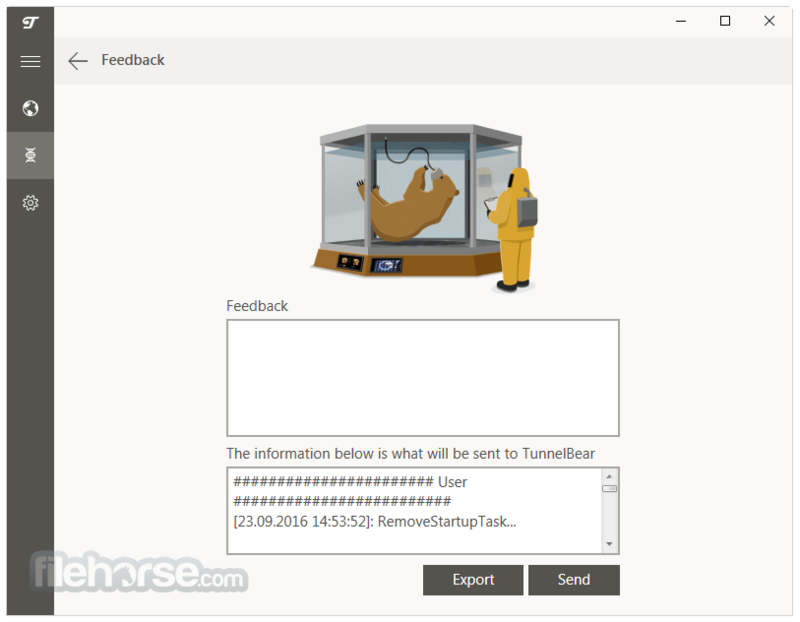 Download a free TunnelBear for Windows today and enjoy an open and unrestricted Internet. Defeat VPN blocking with GhostBear. Make your VPN encrypted data less detectable to governments, businesses and ISPs. Note: 500 MB Free (Tweet for an extra 1GB).